CMYK, Pantone, RGB and RAL are four distinct color systems. Each color system has its own unique usage with CMYK for print, RGB for on screen like web, Pantone for accuracy or calibration and RAL being used much in powder coating and plastics. By understanding color systems you can achieve consistency for your product design across printed materials, digital experiences and even production, like the coating of a classic single speed bicycle. I think it’s not a secret when I say that color can have a huge impact on your business’ branding. It’s an element that shouldn’t be underestimated or even overlooked. Color plays an important role in keeping all your marketing materials to look sharp and consistent across print, web and production. However a lot of companies fail to reach this consistency because they don’t understand how to use colors across different mediums. Whether you are designing for print or for web, using the right color or color combination is crucial for establishing a strong message, connecting better with your clientele, and eventually improving your brand recognition. However, it is important to understand that the process of picking colors can be a bit complex considering that colors can look completely different across print and on-screen - even between two screens a color can appear different. In the massive world of print and on-screen design, there are four main color systems: CMYK, Pantone, RGB and RAL. Knowing the differences between these color systems, can help you choose what is the best option for the type of design you are working with. It can be the difference between a perfect final design and something that looks completely different from what was expected. Below, I provide a simple explanation of the color systems mentioned and an overview of the main differences between them. The goal with this post is to give you a better understanding of the main color systems in order you keep your color choices as consistent as possible across all product design materials. 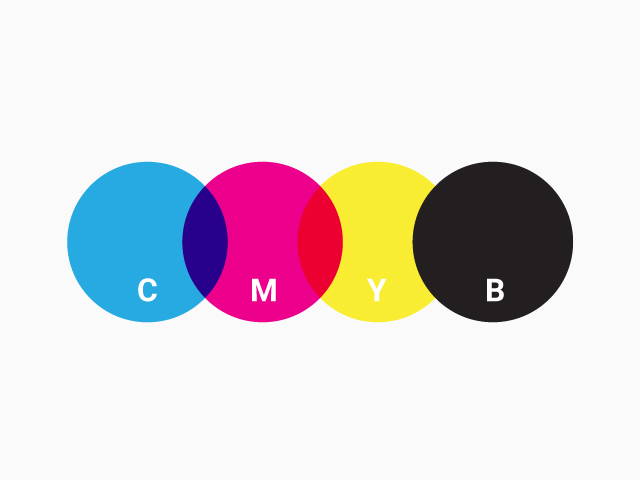 CMYK stands for the four colors applied during the printing process: Cyan, Magenta, Yellow and Black (key). This is a subtractive color system, which basically means that in order to obtain lighter colors, ink must be removed. 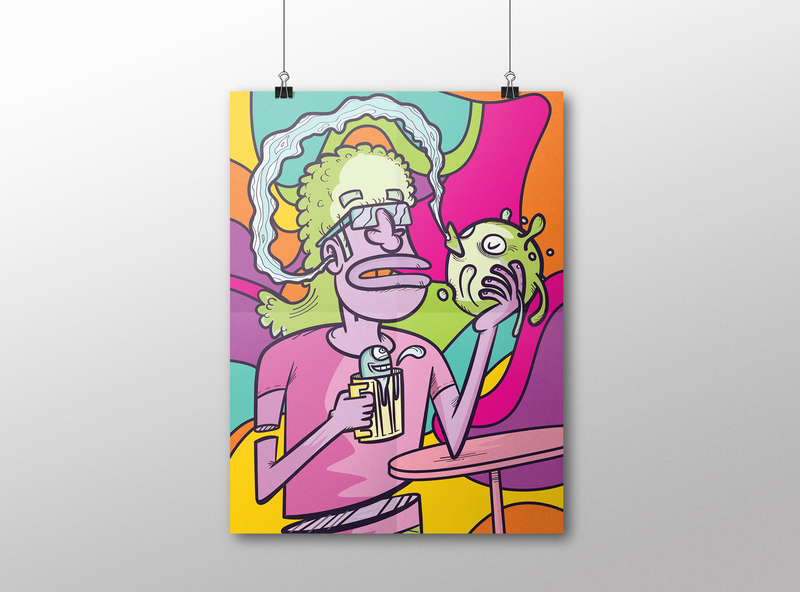 With the CMYK color system the goal is to use ink to absorb the light reflected on a white background - which in this case is the printer paper. This also means that when all colors are combined, all light is absorbed and will appear black. The CMYK color system is mostly used with print design work like magazines or books. Nowadays the majority of at-home printers and high-end color laser printers use these 4 colored inks to print texts and images. Is also important to mention that because of this process of using ink instead of light, CMYK colors are usually less vibrant than RGB color. 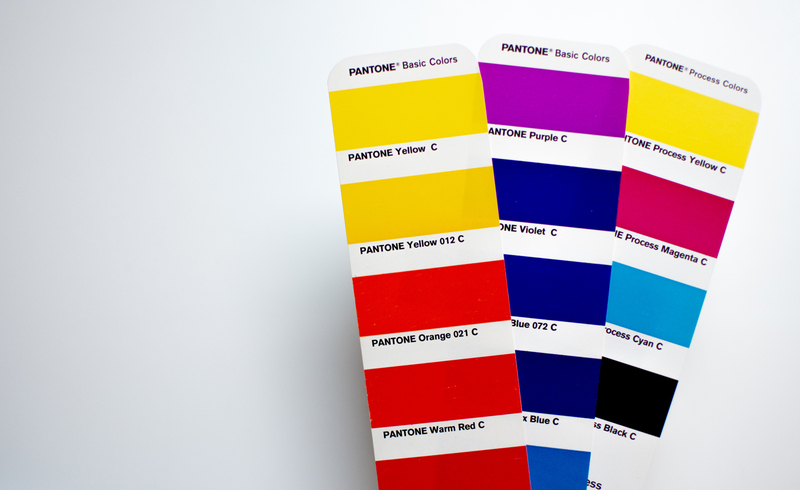 The Pantone Matching System (PMS) revolutionized the printing color process by providing a standardized system. This system is widely used on the majority of printers to replicate tones and graphics through a standardized guideline. The guideline ensures that any manufacturer can refer to any color and be able to match on print. PANTONE varies from CMYK in that it doesn’t require a combination of various colors, instead PANTONE colors are defined as singular units. The majority of Pantone colors are generated with thirteen base pigments that create a variety of unique colors. Each unique color is then labeled via a number which makes it easy to avoid color inconsistencies. Currently the Pantone colors palette includes a total of over 1,800 different colors. This numeric system creates a more accurate color match than other systems, which makes it perfect for brand identity work. However keep in mind that using this process can be extremely time and money consuming, but it’s perfect for a 1 or 2 color print job (i.e. business card…) because it requires less ink that the 4-color model (CMYK). Pantone is known worldwide as the standard language for color communication in the printing world. The system was initially designed for the graphics industry, but it has also proven useful across a surprising range of industries. 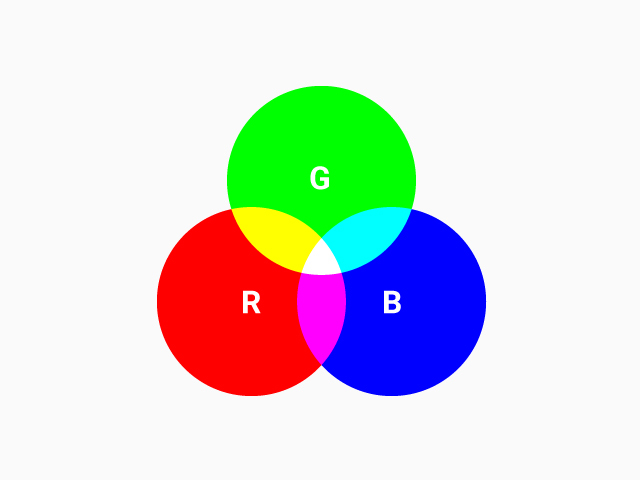 The RGB color model is one of the most important and recognizable systems for color in digital media. This color system uses a series of numbers from 0-255 and its based on the three primary colors, which then form all the other colors: Red, Green, and Blue. While the CMYK color system is subtractive, RGB is a light additive color model and colors are added together to create lighter colors. The systems starts with Black (screen), then adds the variations of Red, Green, and Blue lights to create colors; and when all the lights are combined, the result is White. Most digital images and graphics are produced using the RGB color system in which each pixel on a computer screen display represents a certain color. However it’s important to understand that each computer monitor has a specific color profile and that makes it difficult to pin down how colors are displayed. Although there is CSS syntax to define RGB colors, most developers use a hexadecimal (HEX) code which is basically a shorter and easier version. The code replaces the 0-255 series and it changes to a six digit combination of letters (A to F) and numbers (0 to 9). In most programs the HEX number is automatically generated. The RAL color system defines today matte, glossy and metallic surface colors. RAL is the baseline for coatings. For specific coatings like automotive there are again other systems that are more used typically vendor specific color systems from the likes of PPG or Glasurit. It all boils down to achieving consistency in coating of for example classic bicycles. 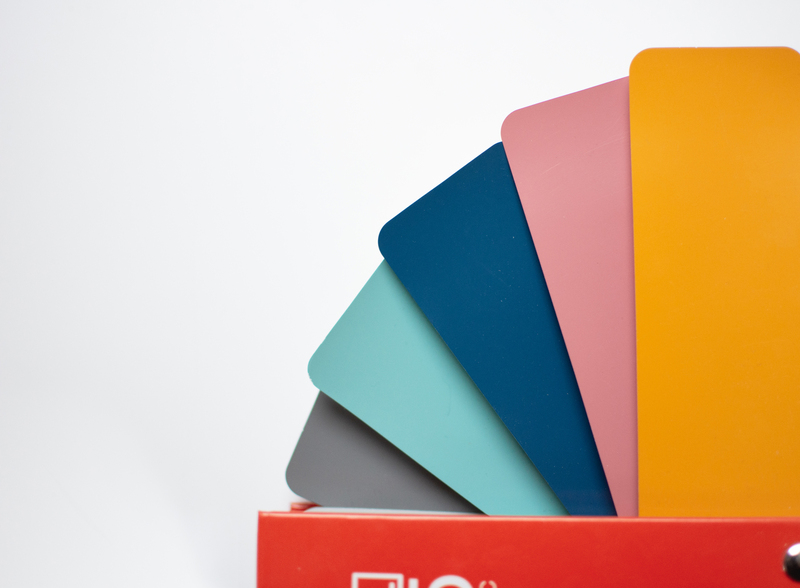 The RAL color system is used mainly for powder coating, varnish and plastic coloring. It is the go-to system when you’re designing physical products that need to be coated. When talking about RAL colors it is the RAL classic system we are referring to.